Copenhagen, the capital and largest city of Denmark, is located on the Zealand and Amager Islands, and is separated from Malmö, Sweden, by the strait of Øresund. Originally a Viking fishing village known as "Havn," in the tenth century the city of Copenhagen was officially founded and served as a harbor town. 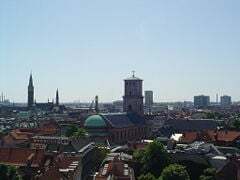 In the fifteenth century it was named the capital of Denmark and the residence of the royal family. It was often sacked during the Protestant Reformation, and was besieged during the wars with Sweden in the late 1650s. In the early nineteenth century the city was bombarded by the British. In 1856 the ramparts were pulled down allowing for growth and expansion. With the completion of the transnational Oresund Bridge in 2000, Copenhagen and Malmö are connected by a car/rail link. These two cities together form the center of the Øresund Region, which is home to almost 3.7 million inhabitants. Copenhagen has one of the highest standards of living in the world, owing in part to welfare benefits and economic and political stability. In 2008 Copenhagen was included in the list of Top 20 Most Livable Cities, received a special award as "Best Designed City," and was classified as a Cultural World City. It was ranked third in Western Europe in terms of attracting regional headquarters and distribution centers, surpassed only by London and Paris. In addition, a 2007 study found it to be the happiest city in the happiest nation on earth. Copenhagen is a leading city in environmental concern and has taken an aggressive role in establishing a multi-faceted strategy aimed at making it the world's leading environmental capital by 2015. The original name for the city, from which the contemporary Danish name is derived, was Køpmannæhafn, meaning "merchants' harbor." The English name for the city is derived from its Low German name, Kopenhagen. The city's Latin name is Hafnia, after which the element hafnium is named..
Copenhagen is located on the eastern shore of the island of Zealand (Sjælland) and partly on the island of Amager, and faces the Øresund, the strait of water that separates Denmark from Sweden, and that connects the North Sea with the Baltic Sea. On the Swedish side of the sound, directly across from Copenhagen, lie the towns of Malmö and Landskrona. Copenhagen is also a part of the Øresund region, which consists of Zealand, Lolland-Falster and Bornholm in Denmark, and Scania in Sweden. The weather in Copenhagen is mild through all four seasons. Summers bring temperatures averaging around 68°F (20°C), while in mid-winter temperatures hover just above or below zero. Rainfall is moderate and spread throughout the year, so showers are possible in any season. Mean annual precipitation is 23.1 inches (589mm). Grey skies are the norm rather than the exception in Copenhagen. Map of Copenhagen suburbs as part of The Finger Plan. The northern suburbs, forming the little finger of the plan, are the wealthiest, with mansions, larger houses, garden cities and mid-size houses. The north-northwestern suburbs form the ring finger, with detached middle-class dwellings. The northwestern suburbs form the middle finger, and consist of detached middle-class dwellings, widespread garden cities, large, low-rise public housing projects, and industrial areas. The pointer finger suburbs are in the west, and have the lowest income per capita and the highest crime-rate. The southwest suburbs along the coast form the thumb, and include high-rise housing projects and low-income inhabitants. Amager island was later included in the city's suburban plan. Copenhagen covered 1032 square miles (2923 square kilometers) in 2008. Signs of human activity dating back to about 4000 B.C.E. have been found around Copenhagen, but there are no signs of permanent settlements from that time. Archaeological excavations indicate that the first town dates back to the 11th century and consisted of two settlements, one in the western part of the medieval city encircled by what is now the streets of Mikkel Bryggersgade, Vestergade, Gammeltorv/Nytorv and Løngangsstræde, which roughly corresponds to the coastline of the time, and another smaller settlement at what is now Kongens Nytorv. The surrounding area consisted of moist beach meadows and signs of cattle grazing have been found. The city probably had a harbor located at presentday Højbro Plads. From the Viking Age (c. 700 to 1066) there was a fishing village by the name of "Havn" (harbor) at the site. In 1167, the year that marks the foundation of Copenhagen, Bishop Absalon of Roskilde, built a castle on an islet, and fortified the town. The excellent harbor encouraged Copenhagen's growth until it became an important center of commerce (the first part of the word "Copenhagen" denotes "commerce" in Danish). It was repeatedly attacked by the Hanseatic League (thirteenth to seventeenth centuries) as the Germans took notice. In 1254, it received its charter as a city under Jakob Erlandsen, who was archbishop from 1254-1274. In 1445, Copenhagen became the residence of the royal family and was made the capital of Denmark. Copenhagen’s trade began to flourish by the late sixteenth century. The Børsen and the Holmens Church were built at that time. During 1658-1659, Copenhagen withstood a two-year siege by the Swedes under Charles X and successfully repelled a major assault. Fires in 1728 and 1795 destroyed much of the city. In 1801, a British fleet under Admiral Parker fought the Battle of Copenhagen, against the Danish Navy in Copenhagen harbor. It was during this battle that Lord Nelson famously "put the telescope to the blind eye" in order not to see Admiral Parker's signal to cease fire. When a British expeditionary force bombarded Copenhagen in 1807 to gain control of the Danish Navy, the city suffered great damage and hundreds of people were killed. 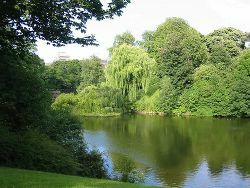 But not until the 1850s were the ramparts of the city opened to allow new housing to be built around the lakes which bordered the old defense system to the west. The old ramparts were out of date as a defense system, and sanitation in the old city was bad. Before the opening, Copenhagen Center was inhabited by approximately 125,000 people, peaking at 140,000 in the census of 1870. 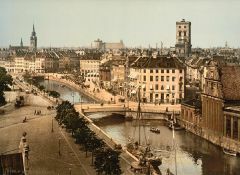 In 1901, Copenhagen expanded further, incorporating communities with 40,000 people, and in the process making Frederiksberg an enclave within Copenhagen. During World War II, Copenhagen was occupied by German troops along with the rest of the country from April 9, 1940, until May 4, 1945. In August 1943, when the government's collaboration with the occupation forces collapsed, the Royal Danish Navy sunk several ships in Copenhagen Harbor to prevent them from being used by the Germans. Since the war, the city has expanded. In the 1970s, the Finger Plan of commuter trainlines to surrounding towns and suburbs was instituted. Since the summer 2000, the cities of Copenhagen and Malmö have been connected by a toll bridge/tunnel (Øresund Bridge), which allows both rail and road passengers to cross. As a result, Copenhagen has become the center of a larger metropolitan area which spans both nations. The bridge has changed public transport and has led to the extensive redevelopment of Amager, south of the main city. 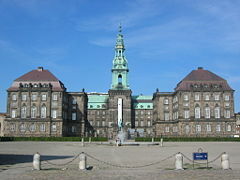 Christiansborg Palace, home of the Danish Parliament, the Supreme Court, the Office of the Prime Minister, and the official reception area of Queen Margrethe II. Denmark is a constitutional monarchy. The monarch, an inherited position, is chief of state, while the prime minister, who is the leader of the majority party or coalition after legislative elections, is appointed by the monarch as head of government. The unicameral People's Assembly, or Folketinget, comprises 179 members elected by popular vote on the basis of proportional representation to serve four-year terms. 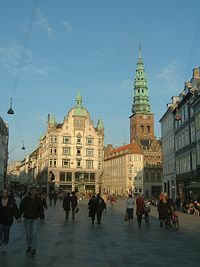 Copenhagen is the largest city in the administrative region of Hovedstaden, although Hillerød is the capital of that region. The most important responsibility for each of Denmark's five administrative regions is for health, along with employment, and public transport. The conurbation of Copenhagen consists of several municipalities, the largest of which is Copenhagen municipality, followed by an enclave inside Copenhagen municipality called Frederiksberg. 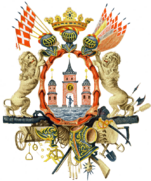 Copenhagen municipality has 55 councilors, and council elections are held on the third Tuesday of November every four years. The municipal seat of government is the Copenhagen City Hall (Rådhus). Børsen - the former Stock Exchange building. Denmark's thoroughly modern market economy features high-tech agriculture, up-to-date small-scale and corporate industry, extensive government welfare, comfortable living standards, a stable currency, and high dependence on foreign trade. Copenhagen formerly was the location of most of Denmark’s manufacturing. From 2000, the service sector, trade, finance, and education dominated the city’s economy. Denmark's per capita GDP was estimated at $37,400 in 2007. 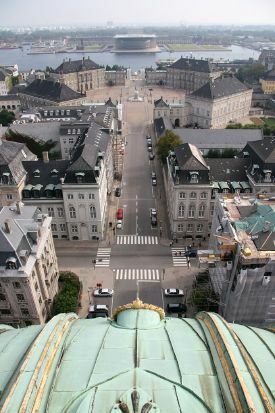 The Copenhagen Capital Region had both the highest GDP per capita and economic growth in the whole of Denmark in 2005. In a survey, Copenhagen was ranked among the richest cities in the world according to personal earnings. Microsoft has a regional headquarters in Copenhagen. Maersk, the world's largest container shipping company, has its world headquarters in Copenhagen. Danish pharmaceuticals companies including Novo Nordisk, Ferring Pharmaceuticals and Bavarian Nordic are also headquartered in the city. Copenhagen is a transport hub for Northern Europe. The city has a large network of toll-free highways and public roads connecting different municipalities of the city together and to Northern Europe. Public transport consists of commuter trains, buses, and a metro. Bicycle paths are often separated from the main traffic lanes and sometimes have their own signal systems. Public bicycles can be found throughout the downtown area and can be rented. Copenhagen-Malmö Port is a cruise destination. Copenhagen has two airports, Kastrup (the large international airport) and Roskilde Lufthavn (a smaller international and general aviation airport). Malmö Airport is used by low-cost carriers and chartered airplanes. Copenhagen's Nyhavn neighborhood, where author Hans Christian Andersen once lived. Depending on the boundaries used, the population of Copenhagen differs. Statistics Denmark uses a measure of the contiguously built-up urban area of Copenhagen, providing a figure of 1,153,615 inhabitants in 2008. The region comprises 6.8 percent of the land area of Denmark, but has 33.9 percent of Denmark's population. This gives a total of 637 inhabitants per km² or 1650 per square mile for the region. 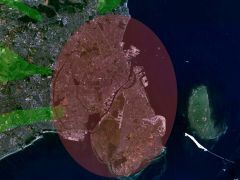 This compares with a population density in the rest of the country of approximately 90 per km² or around 230 per square mile. Most people are of Scandinavian descent, with small groups of Inuit (from Greenland), Faroese, and immigrants, who make up six percent of the population, and mostly come from neighboring northern European countries. An increase in numbers from southern Europe and the Middle Eastern countries has caused increasing tension as Danes feel their liberal society is under threat from a non-liberal Muslim Arab minority. Danish is spoken in the entire country, although many Danes are fluent in English, which is the predominant second language. Evangelical Lutherans made up 95 percent of the population in 2008, other Christian (includes Protestant and Roman Catholic) three percent, and Muslims two percent, according to the CIA World Fact Book 2008. Copenhagen is home to the oldest and largest university in Denmark, the University of Copenhagen, founded in 1479. Other tertiary institutes include the Technical University of Denmark, the Engineering Academy of Denmark, the Royal Danish Academy of Music, the Copenhagen School of Economics and Business Administration, and the Royal Veterinary and Agricultural College. Søren Kierkegaard was born in Copenhagen in 1813. In the field of science: Niels Bohr, a physicist who made fundamental contributions to understanding atomic structure and quantum mechanics, for which he received the Nobel Prize in Physics in 1922. His son, Aage Bohr, also a notable nuclear physicist in his own right, who was awarded the Nobel Prize in Physics in 1975. In the political field: Thorvald Stauning, the first Social Democrat Prime Minister of Denmark, who developed a social welfare state. While many of his ambitions for Social Democracy were ultimately thwarted in his lifetime by events beyond his control, his leadership through grave times places Stauning among the most admired of twentieth-century Danish statesmen. 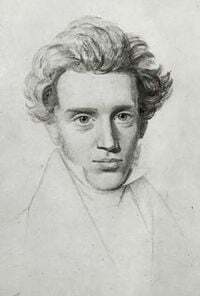 In the realm of philosophy: Søren Kierkegaard, a philosopher and theologian who has often been called "the father of existentialism." In the world of literature: Georg Brandes, a critic and scholar who had great influence on Scandinavian and European literature from the 1870s through the turn of the twentieth century. Normally he is seen as the theorist behind "the Modern Break-through" of Scandinavian culture, widely understood to have inspired the intellectual leftist movement of the inter-war period known as Cultural Leftism. The field of architecture includes two well-known persons: Arne Jacobsen, an architect and designer, an exemplar of the "Danish Modern" style. Jørn Utzon, the architect and designer of the Sydney Opera House. Within the arena of arts and entertainment: August Bournonville, ballet master and choreographer for the Royal Danish Ballet, who initiated a unique style in ballet known as the Bournonville School. Lauritz Melchior was a Danish and later American opera singer. He was the pre-eminent Wagnerian tenor of the late 1920s, 1930s, and 1940s, and has since come to be considered the quintessence of his voice type. Carl Theodor Dreyer, who is regarded as one of the greatest directors in cinema hailed from Copenhagen. And Victor Borge, a Danish-American humorist, entertainer and pianist, affectionately known as the "Clown Prince of Denmark" and the "Great Dane," was born in Copenhagen and came to the United States at the age of 31, when Germany invaded Denmark during World War II. The Copenhagen Jazz Festival is a popular event each summer, and for free entertainment one can stroll along Strøget, which in the late afternoon and evening is a bit like an impromptu circus with musicians, magicians, jugglers and other street performers. There are about five miles (eight km) of sandy beaches within 30 minutes bicycling from the city center. Amalienborg Palace, which is the winter home of the Danish royal family, and consists of four identical palace facades with rococo interiors around an octagonal courtyard. Christiansborg Palace, in central Copenhagen, which is the only building in the world to accommodate a nation's executive, legislature, and judiciary. Frederiksborg Palace, which was built for King Christian IV, and is now the Museum of National History. The building replaced a previous castle erected by Frederick II, and is the largest Renaissance palace in Scandinavia. Strøget (literally "the straight" or to wander), a car-free zone, is a tourist attraction in the center of town, and is the longest pedestrian shopping area in Europe. The statue of The Little Mermaid, which sits on a rock in the Copenhagen harbor at Langelinie, a small statue that is a Copenhagen icon. The National Museum of Denmark, in Prinsens Palais, is Denmark's central museum of cultural history, comprising the histories of Danish and foreign cultures, alike. 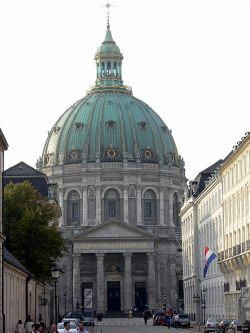 The Church of Our Lady, which is the National Cathedral of Denmark. Construction of the original Collegiate Church of Saint Mary began in 1187 under Bishop Absalon. Tivoli Gardens, which is a famous amusement park and pleasure garden. The park opened in 1843 and, except for Dyrehavsbakken in nearby Klampenborg, it is the oldest amusement park which has survived intact to the present day. The Ny Carlsberg Glyptotek, which is an art museum built around the personal collection of the son of the founder of the Carlsberg Breweries, Carl Jacobsen. The museum collections include classical Egyptian, Roman and Greek antiquities, Romanticist sculptures, and paintings, as well as Golden Age Danish art. The Etruscan collection is one of the most extensive outside Italy. Copenhagen Zoo, one of the oldest zoos in Europe, was founded by the ornithologist Niels Kjærbølling in 1859. Organic foods - a plan for making organic food products reach a level of 20 percent of the total food consumption. Clean water - there is no risk involved in swimming in Copenhagen Harbor, unusual for a city of its size. Reduction of CO2 emissions - heating based on natural gas instead of fossil fuels, which has reduced CO2 emissions 25 percent since 1990. Bicycle usage - the goal to make Copenhagen the world's leading bicycle city - there are more than 300 km (186.5 mi) of bicycle paths, and "free token bikes" offered to the city's visitors. Refuse and recycling - Copenhagen has one of the best waste handling systems in the world, with approximately 90 percent of all construction waste being recycled and 75 percent of all household refuse incinerated, with the resultant energy used for district heating and electricity. Copenhagen has been listed among the Top 20 Most Livable Cities, and has been given a special award as "Best Designed City." Copenhagen's residents enjoy both the highest GDP per capita and economic growth in the whole of Denmark. Welfare benefits, and political stability, mean Copenhagen's living standards are among the highest in the world. In 2006 and 2007, surveys ranked Denmark as "the happiest place in the world." A study undertaken by the University of Leicester in 2007, which resulted in the first ever "World Map of Happiness" discovered that levels of happiness within a nation were most closely associated with levels of health, wealth, and education and that these three factors were closely related and interdependent of each other. Copenhagen has been further deemed to be the happiest city in the happiest nation, where people feel safe and contented with life. While in the early to mid twentieth century the city's suicide rates were among the highest reported in the world, by the early twenty-first century those figures had dropped considerably. The consciousness of environmental concern which exists on the levels of the common citizens, the city's leaders, and everyone in-between is an important asset for the city's future. 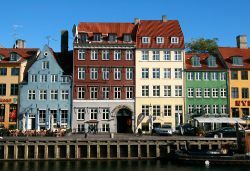 The strategy formulated to make Copenhagen the world's leading environmental capital by 2015 is one that can serve as a model for cities worldwide, and will serve Copenhagen well in terms of both personal and environmental health. ↑ Statistics Denmark: Copenhagen City/Urban Area (Københavns Kommune, Hovedstadsområdet), 2011 (tables: FOLK1, BEF44). Statistics Denmark. Archived from the original on 2012-01-19. Retrieved April 9, 2012. ↑ Biography of George de HevesyThe Nobel Foundation. Retrieved September 20, 2008. ↑ Bi Skaarup, and Johan R. M. Jensen. Arkæologien i metroens spor —The archaeology in the tracks of the metro. 2002. The Orestad Development Corporation and Copenhagen City Museum. (Danish and English), 14–15. ↑ 4.0 4.1 Skaarup (1999), 76–77. ↑ Gautier; Skaarup; Gabrielsen; Kristiansen; Ejlersen, 159–160. ↑ Danmarks Statistik. Regionale regnskaber 2005 Retrieved September 20, 2008. ↑ City Mayors Economics, The most expensive and richest cities in the world Retrieved September 20, 2008. ↑ Visit Copenhagen.Concern for the Environment Retrieved September 20, 2008. ↑ Bill Weir and Sylvia Johnson. January 8, 2007. Denmark: The Happiest Place on Earth ABCNews Internet Ventures. Retrieved February 23, 2008. ↑ University of Leicester. University of Leicester Produces the first ever World Map of Happiness Retrieved September 25, 2008. ↑ World Health Organization. Suicide rates (per 100,000), by gender, Denmark, 1950-2001. Retrieved September 25, 2008. Benson, Harry. Tivoli Gardens. New York: Abrams, 2007. ISBN 978-0810993884. Carey, John. Eyewitness to History. Cambridge, MA: Harvard University Press, 1987. ISBN 978-0674287501. Gabrielsen, Karsten, E. Gautier, B. Skaarup, K. Gabrielsen, M. Kristiansen, T. Ejlersen (eds.). Historiske Meddelelser om København. Copenhagen Municipality, 1999. (in Danish) ISBN 8789457137. Gautier, E., B. Skaarup, K. Gabrielsen, M. Kristiansen, T. Ejlersen (eds.). Historiske Meddelelser om København. 1999. World Fact Book. Denmark Retrieved September 4, 2008. Skaarup, Bi, E. Gautier, B. Skaarup, K. Gabrielsen, M. Kristiansen, T. Ejlersen (eds.). Historiske Meddelelser om København. 1999. Copenhagen: Copenhagen Municipality (in Danish) ISBN 8789457137. Skaarup, Bi, and Johan R. M. Jensen. Arkæologien i metroens spor —The archaeology in the tracks of the metro. The Orestad Development Corporation and Copenhagen City Museum, 2002. (Danish and English) ISBN 8790143159. Statistical Yearbook of Copenhagen (part English); ISBN 8770242305. København Forslag til kommuneplan 1985. ISBN 8788034038. This page was last modified on 23 March 2017, at 14:44.